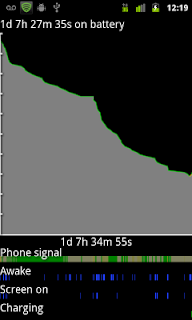 In my previous post, I mentioned how upset I was with Google Maps and specifically with Latitude as it was draining battery of my Nexus S. I was fully charging the phone over night and finding the battery hitting 10% in about 8 hours even if I did not use the phone at all. OK, here is the awesome news. 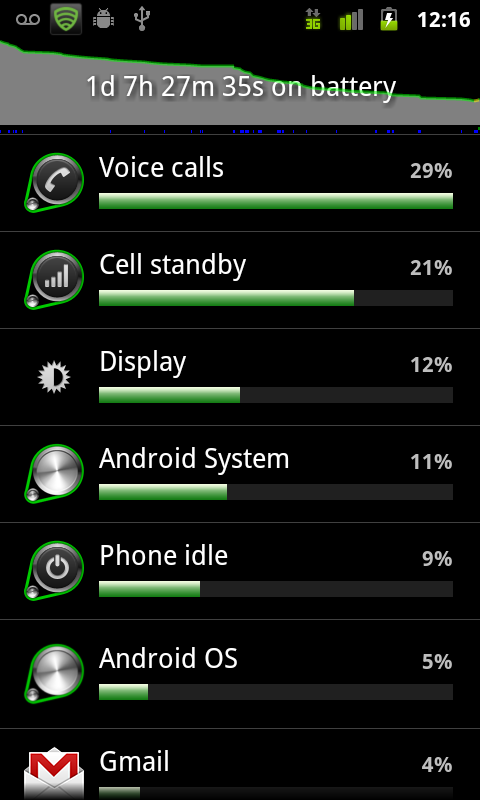 After 31 hours I still have 33% left on battery!!!! Just to get the screenshots of this, I installed the JDK and Android SDK (it's a shame I had to go through all that just to get a screenshot). I updated many apps in the last couple of days so I am not really sure what exactly caused this incredible improvement but I am hoping it will stick around. Typical night-time pain :( This has been going on for almost a year. 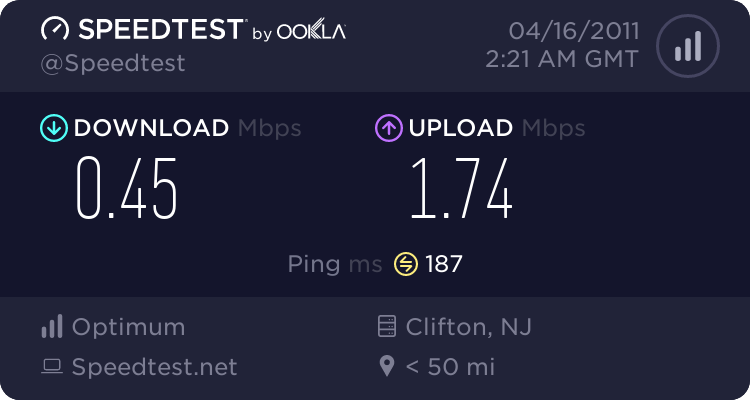 Day time speeds approach 15Mbit/s but that does not help as most folks would really need it in the evening. 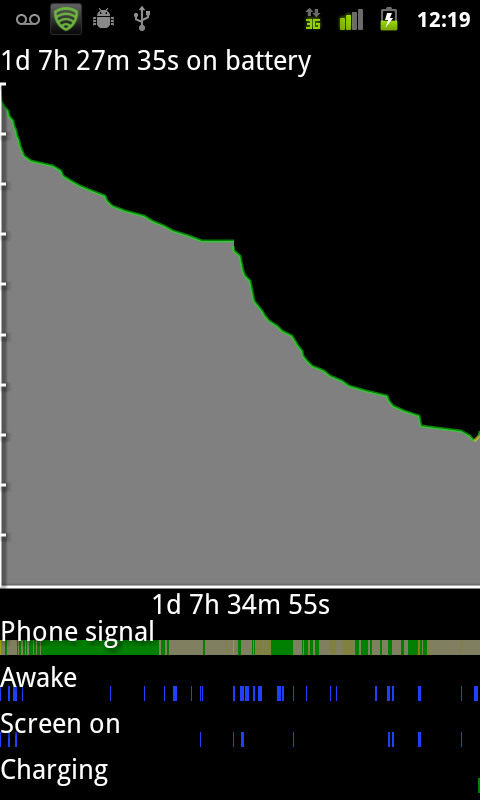 Unfortunately, I noticed that my battery was going down much quicker and "Battery Used" reports were pointing to "Maps". As I was not really using maps or gps, I suspected Latitude, which is part of Google Maps suite, was the cause. I posted a question on Google Mobile forums asking if anyone else was seeing the same issue. Only one person reported the exact same issue and also suggested to log out of latitude. 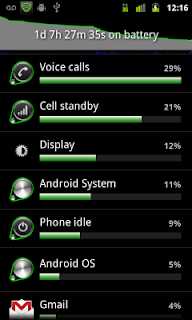 Tested it and confirmed that it worked well, which makes the latitude and possibly the history feature the culprit. Filed a defect here. Hopefully, they will fix it soon, I like to be able to use it again!